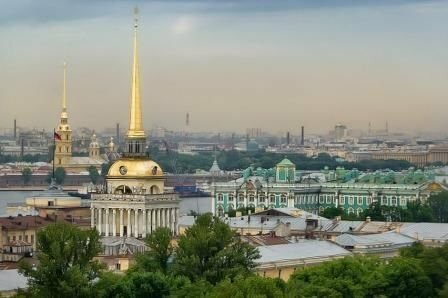 Airport Pulkovo, Train Station and Cruise Port Taxi - Private Transfer and City Tour in Saint Petersburg, Russia with English - speaking drivers. Advanced bookings for high season 2019 are welcome! The Taxi Company in Russia offers Airport Pulkovo 1 LED private transfer and train station taxi. Cab to the city hotel, Tsarskoe Selo - Pushkin, Peterhof, Hermitage, sea and river cruise port, theatre, park and museum. Professional English - speaking drivers with permits (license) to carry passengers and baggage from the public transport authority. Locally owned and managed St Petersburg Airport Taxi is your reliable transfer service in Russia with cheap rates, fixed tariffs and best reviews. The Top Transportation Company (taxi and private transfers) in St Petersburg. We are providing effective and professional taxi transfer service in the City Centre and suburbs. Our drivers can understand and speak English. During the high season, we're trying our utmost best to assign an English-speaking driver to every vehicle booked in St Petersburg. Get your ride on short notice or pre-book your transfer in St Petersburg up to twelve months in advance. Pay online and have a peace of mind during your visit in St Petersburg. Airport Pulkovo transfer, taxi to the cruise port, a trip to Pushkin or Peterhof, or just a city ride, we always have fixed fares for all bookings in St Petersburg provided in advance. In order to accommodate all your needs, we're providing different payment options. Pay for your taxi or transfer in St Petersburg by cash, pre-pay by credit card or PayPal online. While you're flying to St Petersburg and prior the arrival to Pulkovo airport, we're monitoring your flight status. The driver will meet you in the arrivals hall, even if your flight is delayed. The driver will be waiting at the arrivals hall of St Petersburg Airport holding your name sign. Kindly let us know of any lost luggage case or any other delay. We will extend waiting time. We're extremely flexible as we have an advantage of the fleet ownership unlike most aggregators. Any suggestions, trip adjustments and tailor-made options are highly welcome. We're proud of being fully licensed, locally owned and managed taxi company in St Petersburg. This gives us an advantage and the ability to provide fast, efficient and professional expert service. We're offering the whole spectrum of transportation services in St Petersburg. Transfer from or to Pulkovo Airport, taxi to sea or river cruise port, trip to Pushkin or Peterhof, pick-up or drop-off to the train station, cab to bus terminal, intercity transfers to Tallinn, Helsinki, Veliky Novgorod and Pskov, city rides, pickups from the restaurant and theatre, city tour and a tailor-made trip. We are always just a message away. Click for Taxi fare in St. Petersburg city center to the Airport Pulkovo 1 LED or vice versa transfer. Click for Taxi fare in St. Petersburg city centre to the train station or vice versa transfer. Click for Taxi fare in St. Petersburg city centre to cruise port or vice versa taxi transfer. Click for Taxi fare in St. Petersburg city to Tsarskoye Selo or Peterhof or vice versa transfer. Click for Taxi fare for St. Petersburg City Sightseeing Driving Tour with English-speaking driver. Click for Chauffeur Service in St. Petersburg, Fixed Fare for English-Speaking Taxi and City Centre Transfer. Click for Taxi fare in St. Petersburg city centre to the bus station or vice versa transfer. Click for Taxi fare in St. Petersburg city centre to Peterhof or vice versa transfer. Click for Taxi fare in St. Petersburg city centre to Pushkin or vice versa transfer. Click for Taxi fare in St. Petersburg city centre for intercity or vice versa transfer. Click for Taxi fare in St. Petersburg city centre to cruise port or vice versa transfer. Click for Taxi fare in St. Petersburg city centre to the theater or vice versa transfer. Click for Taxi fare in St. Petersburg city center to the museum or vice versa transfer. Click for Taxi fare in St. Petersburg city centre to the restaurant or vice versa transfer. Click for Taxi fare in St. Petersburg city center to the Lakhta Centre or vice versa transfer. Click for Taxi fare in St. Petersburg city centre to Helsinki Finland or vice versa transfer. Click for St. Petersburg city centre to Tallinn Estonia or vice versa transfer. Click for Taxi fare in St. Petersburg city centre to Moskovsky train station or vice versa transfer. Click for Taxi fare in St. Petersburg city centre to Finlyandsky train station or vice versa transfer. Click for Taxi fare in St. Petersburg city centre to Ladozhsky train station or vice versa transfer. 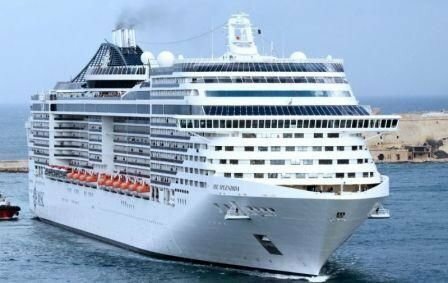 The Russian Cruise season is just around the corner! Book the transfer and enjoy the ride from / to Sea Cruise Port: Morskoy Façade and the River Cruise Port: River terminal, Salt Pier and Utkina Zavod'. *Additional charge of 500 ₽ for the port entry fee is applicable In the event of the pickup from the territory of Morskoy Façade Sea Cruise Port territory.